"Look after my heart - I've left it with you." Who he is: Edward is the mysterious love interest from Stephenie Meyer's Twilight. Unlike most vampires, he refuses to kill humans for blood. Instead, he hunts animals. He lives the life of a loner until he falls in love with the clumsy, ordinary Bella Swan. 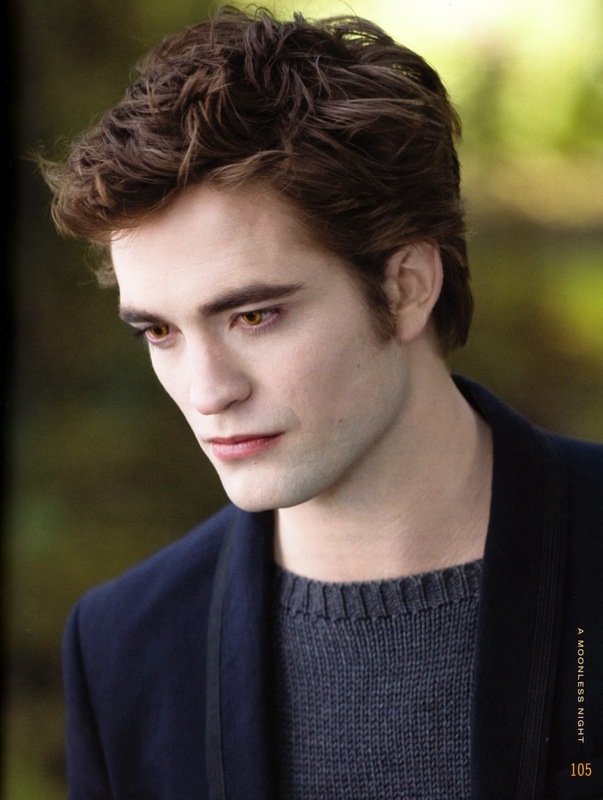 Description: Edward is tall (around 6'2") with red-brown hair and eyes that change from golden to black, depending on his hunger. His body is as perfect as a marble statue, and his skin is cold to the touch. He has supernatural strength and can read minds. "Before you, Bella, my life was like a moonless night. Very dark, but there were stars, points of light and reason. ...And then you shot across my sky like a meteor. Suddenly everything was on fire; there was brilliancy, there was beauty. 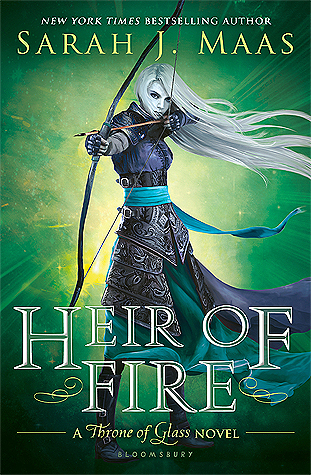 When you were gone, when the meteor had fallen over the horizon, everything went black. Nothing had changed, but my eyes were blinded by the light. I couldn’t see the stars anymore. And there was no more reason, for anything." “And so the lion fell in love with the lamb..." he murmured. I looked away, hiding my eyes as I thrilled to the word. "What a stupid lamb," I sighed. “You knew that already,” I reminded him, ducking my head. I hid my face against his shoulder. “I love you,” I whispered. “You are my life now,” he answered simply. There was nothing more to say for the moment. He rocked us back and forth as the room grew lighter. “You…made…me…faint,” I accused him dizzily. I laughed weakly, letting his arms support me while my head spun. “So much for being good at everything,” he sighed. “You really shouldn’t do that to people," I criticized. "It’s hardly fair." "Dazzle them like that – she’s probably hyperventilating in the kitchen right now." "Oh come on," I said dubiously. "You have to know the effect you have on people." He tilted his head to one side, and his eyes were curious. "I dazzle people?" "You haven’t noticed? Do you think everybody gets their way so easily?" Edward Anthony Masen Cullen was one of my first fictional crushes. Scoff at me all you want- I fell head over heels for this boy. 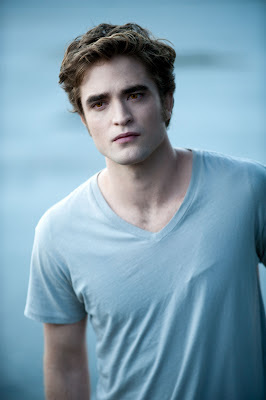 No matter how cheesy the movies are or ridiculous the story became, I will always have a soft spot for Edward. 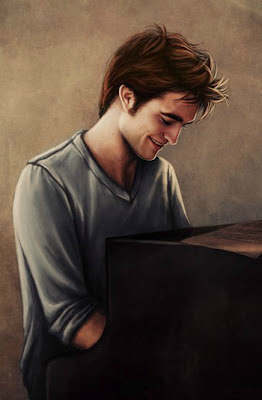 Robert Pattinson fits my mental image fairly well, and the piano picture is a piece of artwork I found on deviantart.com.